Winterizing your home is one of the best ways to get comfortable this year, and it's not too late to get a few projects done before the holidays. If you live in one of the states that got soaked over Thanksgiving, you might find a lot of debris on your roof and in your gutters. While you're hanging holiday lights, sweep out the gutters so that other rains and snows are less likely to cause damage to your walls. A clean drainage system keeps water from seeping into your foundation- freezing underground pipes. Excess water that can't escape from your drainage system will find other places to go, i.e. leaking into your house causing water stains on ceilings, mold and any other possible damage. And, while you're on your ladder, check if your gutters are properly aligned to prevent any leaks. With a garden hose, you can easily check this problem. The next thing you'll want to check on is the state of your furnace. Call a master certified plumber to look for potential dangers such as carbon monoxide leaks. 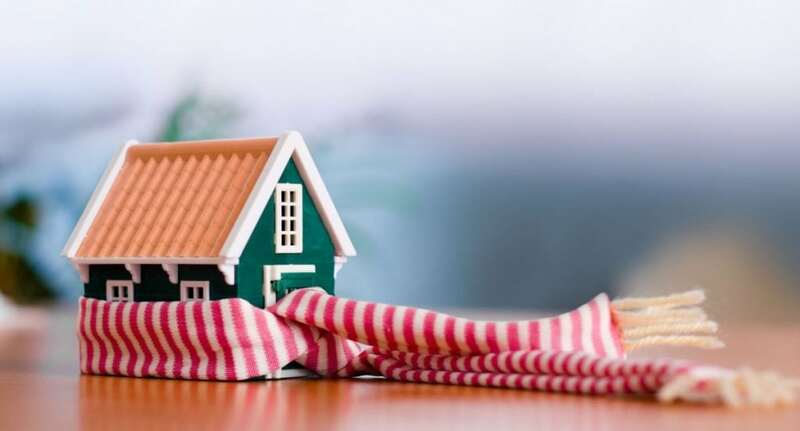 Typically a heating system is comprised of three systems; the heat/cold source, distribution system, and thermostat, so there is plenty of room for error. Make sure that your system is properly inspected and cleaned and has fresh filters according to maintenance directions. Since a good number of homes use gas-based heating, it makes sense to also check smoke and carbon monoxide detectors. According to the EPA.gov website, smoke detectors with a UL rating have a useful life of 10 years so don't just push the button to see if it's working. Stick a real flame source, such as a candle or a match, to see if the detector can actually pick up on the smoke being emitted. Energy leaks put a hole in your wallet, so do your best to identify and seal all leaks in your ceiling/attic and cracks in or around your windows and doors. This is something you can do during inclement weather. A quick way to check if you have enough insulation is to go into your attic and look at your rafters-if you can see ceiling joists you can add some more insulation. Though this will be an expensive process, you will instantly reap the benefits as your heating costs will plummet right away. Wrapping piping in insulation is also a great way to avoid a “pound of cure,” like the old saying goes. This process will prevent pipes from bursting if you have a freeze. Be especially aware of pipes in areas that aren't heated like your garage, crawlspaces or garden spigots. There are two main types of protection you can place on your pipes- the first is covering your pipes with regular insulation with either pre-molded foam rubber sleeves or fiberglass insulation. The second way is more necessary if you live in a much colder part of the country. Wrap your pipes in electric heating tape-essentially you're putting an electrical cord around your pipes that emits heat. This process is more expensive as you will undoubtedly need to wrap the pipe in foam rubber sleeves as well to guarantee the safety of your pipes. Any steps you take will improve your home's operation, and ultimately keep you more comfortable.